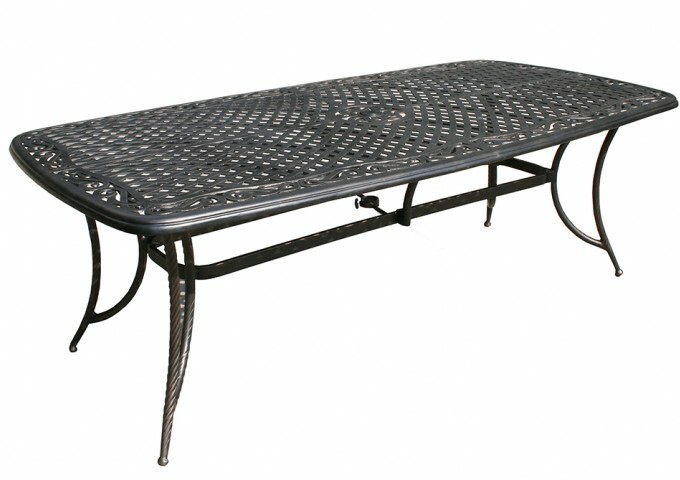 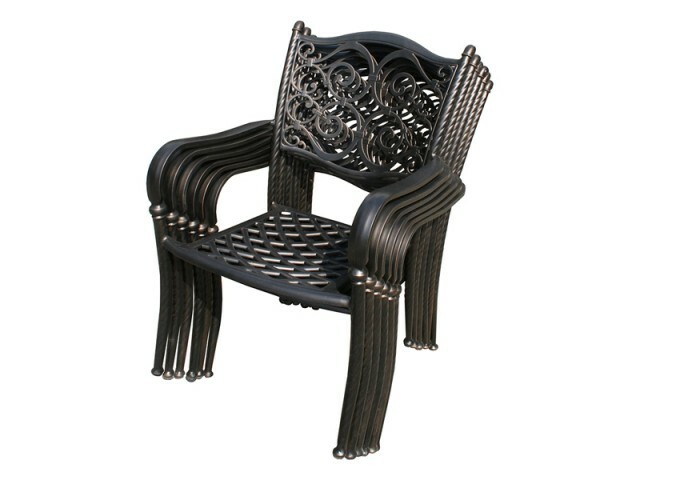 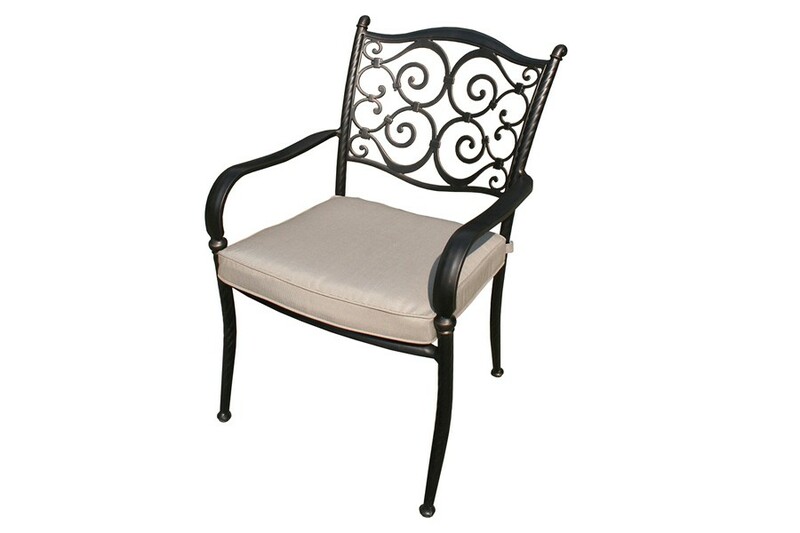 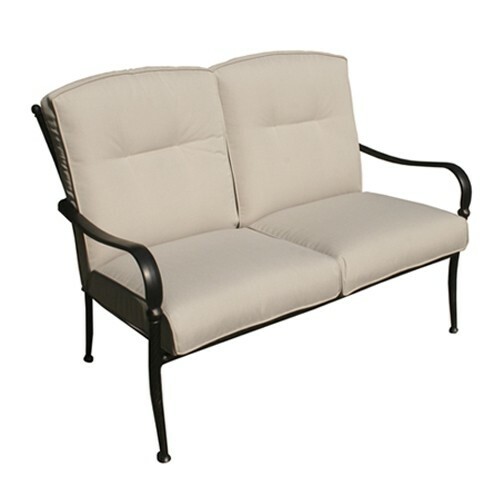 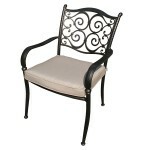 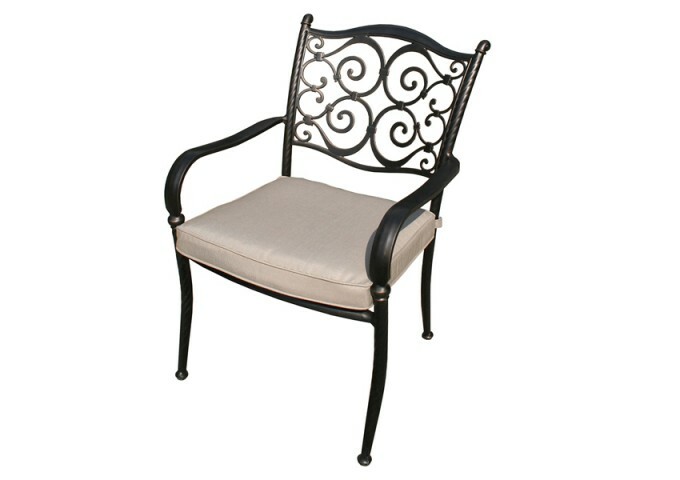 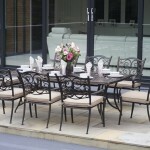 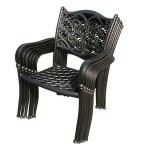 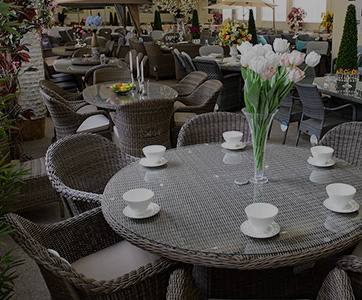 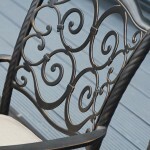 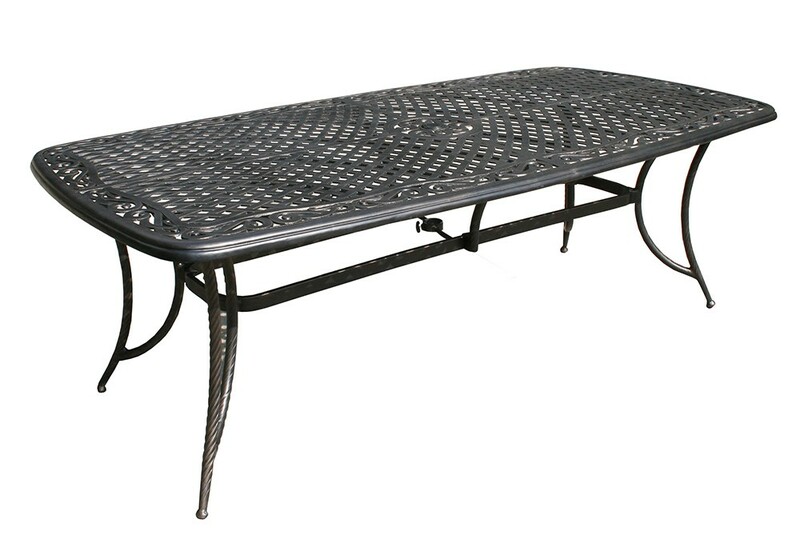 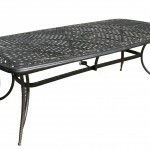 This very elegant outdoor dining set would be a magnificent addition to any patio or deck. 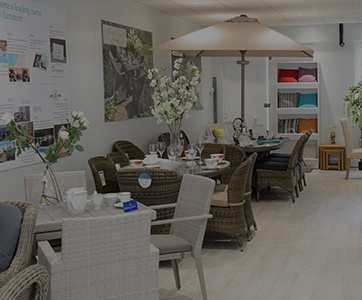 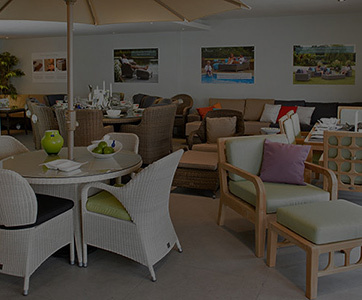 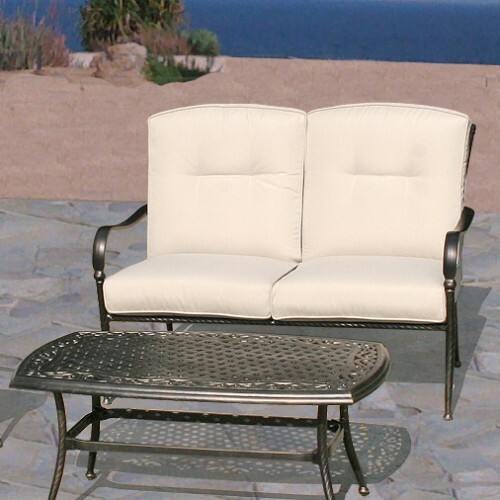 The large rectangular table is supplied complete with eight comfortable stacking armchairs, complete with cushions. 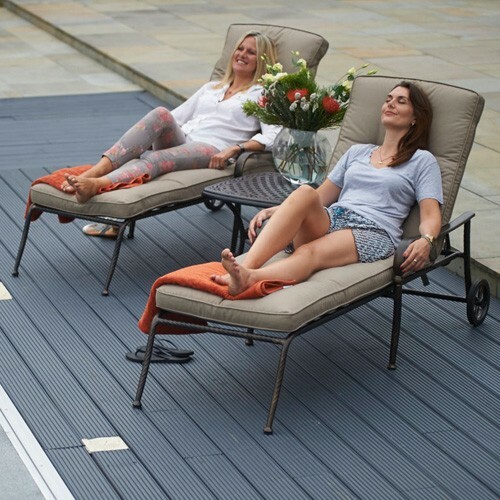 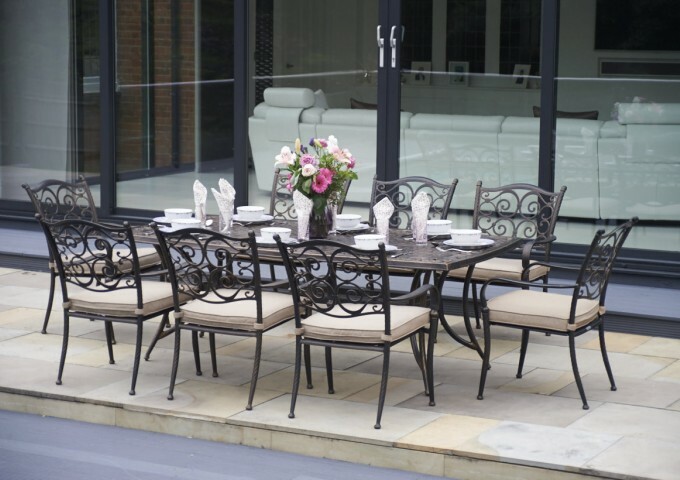 This stylish set is beautifully crafted to a high standard and is the perfect way to spend time outside with family and friends. 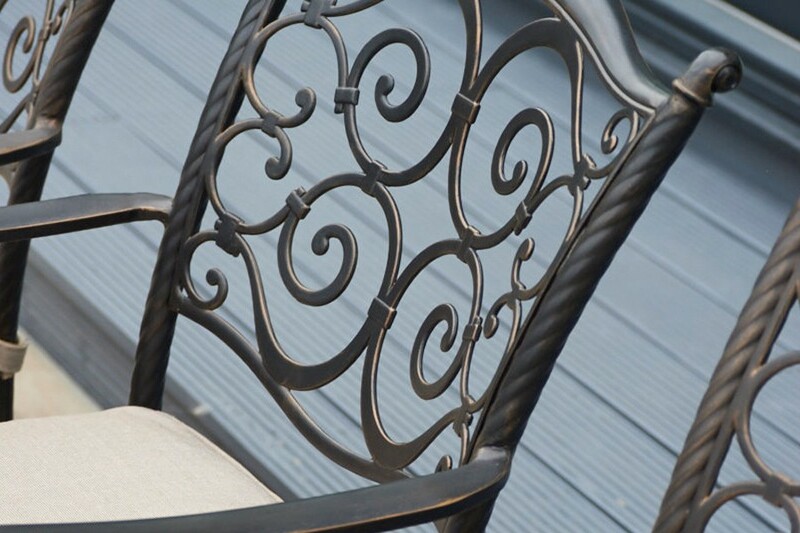 The furniture is completely weather proof, as it is manufactured with good quality aluminium and has a smooth bronze coloured finish. 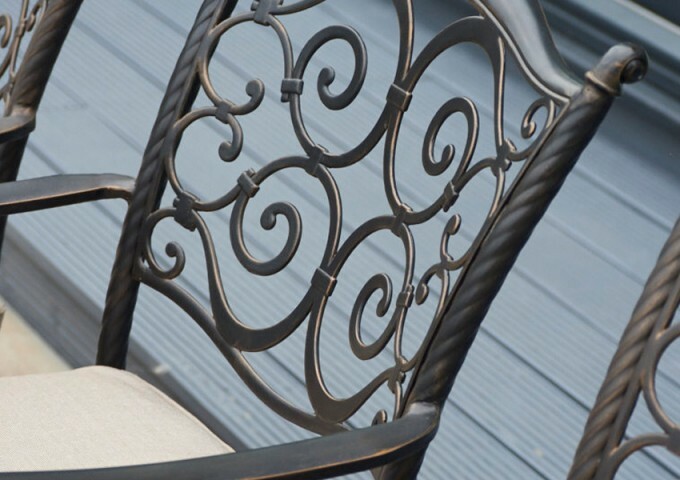 The edges and corners have a small amount of gold antiquing which enhances the appearance and gives the furniture a lovely lustre. 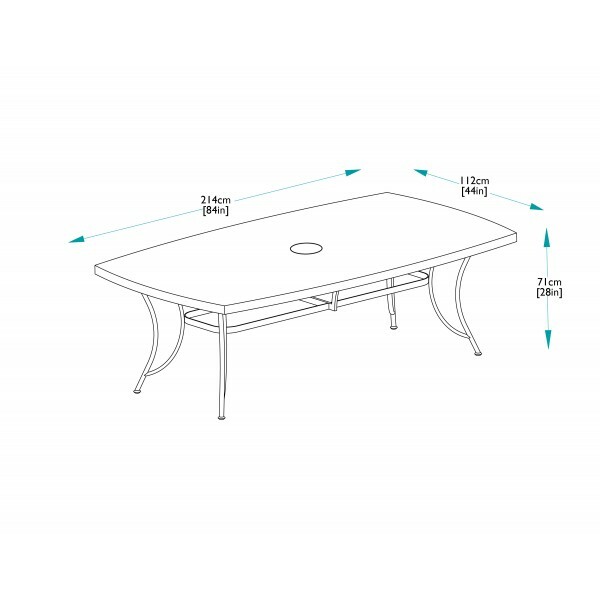 The dining table top is cast in aluminium with lovely detailing and hand finishing.The table has adjustable feet to cope with uneven ground and has a centre hole for a parasol if required. 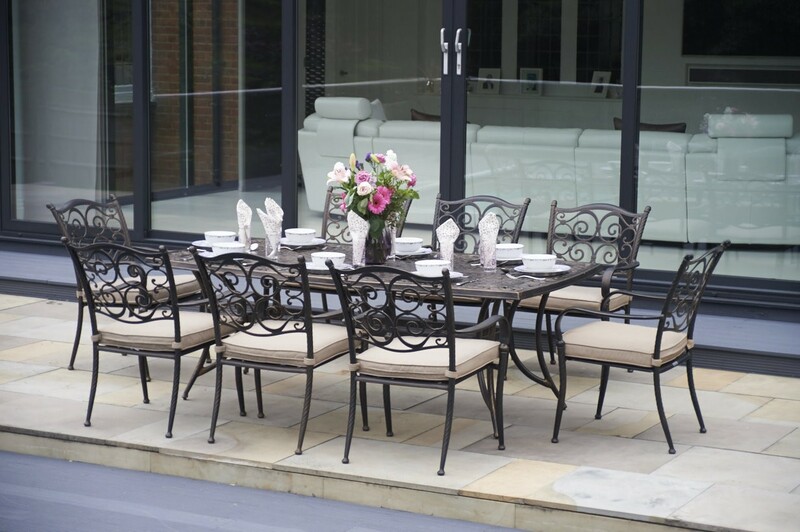 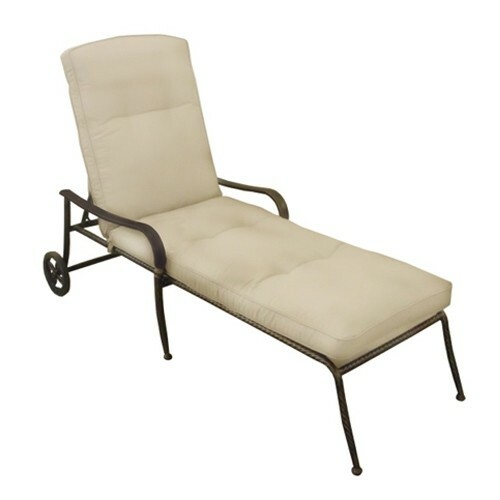 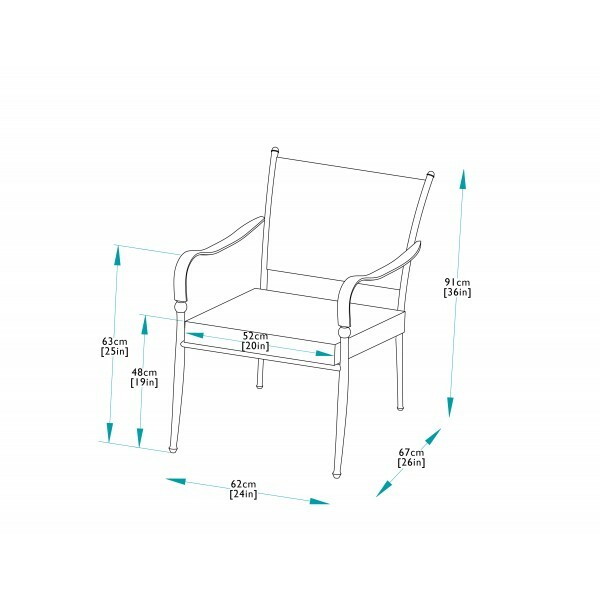 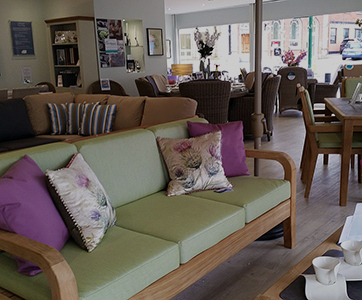 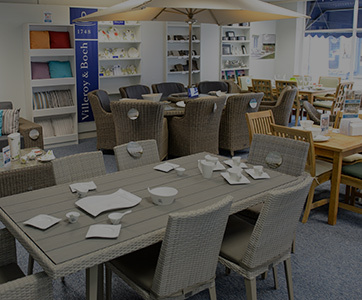 With reasonable care and minimal maintenance, this garden furniture set should give years of enjoyment and be a fine addition to any home.